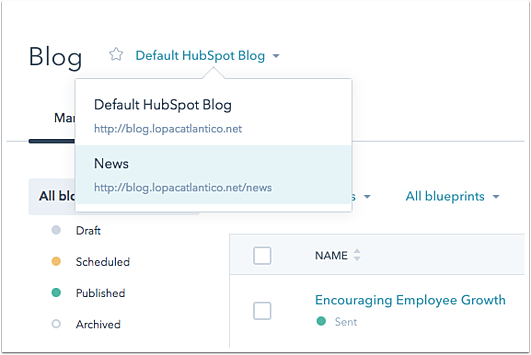 Use HubSpot's blog tool to create compelling content that educates your audience about your business. Before you get started, be sure to update your blog settings, company branding, and connect your domain. Use the blog dropdown menu to select the blog for your new post. In the upper right, click Create blog post. Or hover over an existing post and click Edit. Select Draft Mode to focus on writing and content. This editor removes publishing options from view until you're ready to optimize and publish your post in the inline editor. Learn more about how to work in draft mode. Select Inline Edit Mode to use the classic WYSIWYG (What you see is what you get) editor. Select a post blueprint for a suggested structure for your post in the inline editor. The types of blueprints are: how-to post, list post, and visual post. Hover over the blog post title module and click the pencil icon edit to enter your blog post title. Hover over and click the post body area of the editor. This action will reveal a formatting menu. Use this menu to add text, images, and CTA buttons to your post. Learn more about using the rich text editor interface. In the post body, place your cursor where you want the preview of your post content to end. Click Insert and select Read more separator. You can drag and drop the separator into place as needed. Edit the blog post title. Associate the post with a campaign. Manage your blog template. 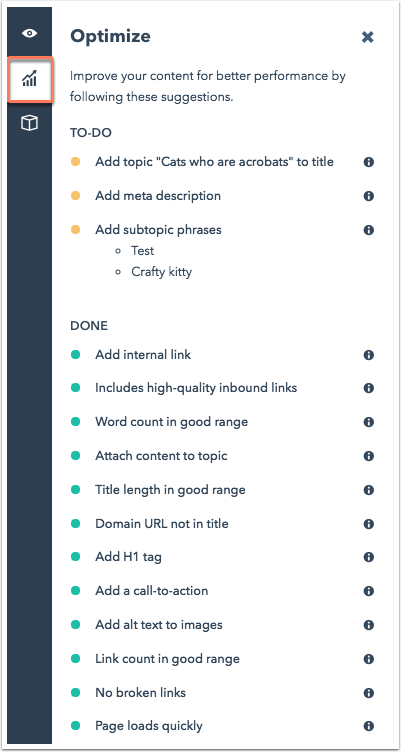 HubSpot blog templates are coded, so any changes should be made with an experienced web developer. Learn more about the default blog template markup. Manage your blog email notifications. Customize the canonical URL if you have duplicate content.